The district consists of three schools, 2,039 students, 194 professional staff, 211 support staff, 13 administrators and an annual budget of $22,404,838. The Academy is an accredited high school which provides a basis for obtaining and using knowledge and related skills and promotes intellectual development, self-discipline, self-esteem, and awareness of conscience for the personal and academic growth of all students. St. Michael's School provides academic excellence that is Christ-centered for students of all economic, racial and spiritual backgrounds. Parents share the responsibility of teaching children peace and justice through personal and social responsibility. Quality Christian education for over 25 years. Traditional classroom instruction with small student-teacher ratio. Full academic and sports programs. Homeschool Extension Program. 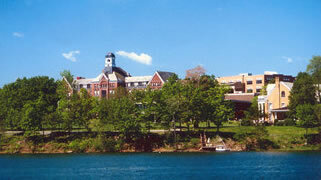 Penn Yan is home to Keuka College, a small, private, independent, liberal arts-based institution. The College is committed to its teaching mission and emphasizes experiential education, a centerpiece of the Keuka experience. A diverse, student-centered, liberal arts based learning community for those with a range of educational goals, including undergraduate degrees, professional training, and advanced study. Emphasis on experiential education provides a cornerstone for academic study, career preparation, and personal growth. Current full time enrollment is approximately 1000 students.